Here's our reasons as to why you need fat to lose weight, improve your mood, and boost your immune system. You've shied away from eating it and worked on the treadmill to burn it off, but it turns out that your body needs it in order to function. Did you know that fats help you absorb vitamins A, D, and E, and they are vital for your nervous system? The key? 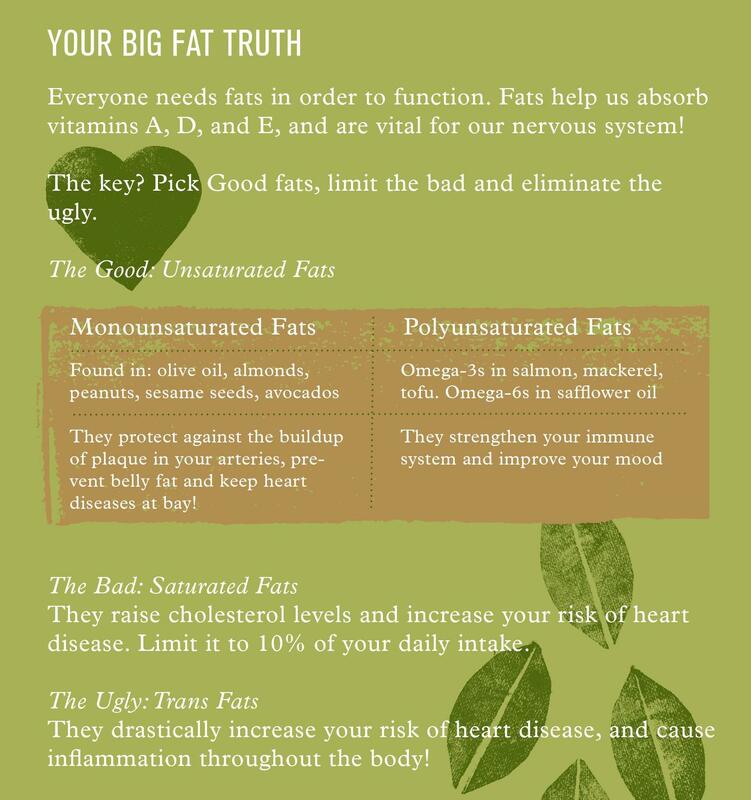 Pick good fats and limit bad fats. Don't know a saturated fat from a poly? Here's the skinny on which fats to eat and which to avoid.